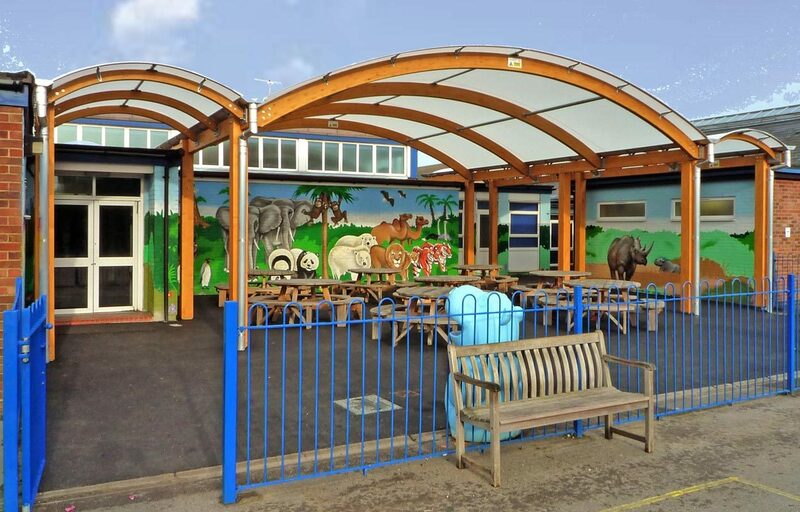 Timber canopy solution for infant school. 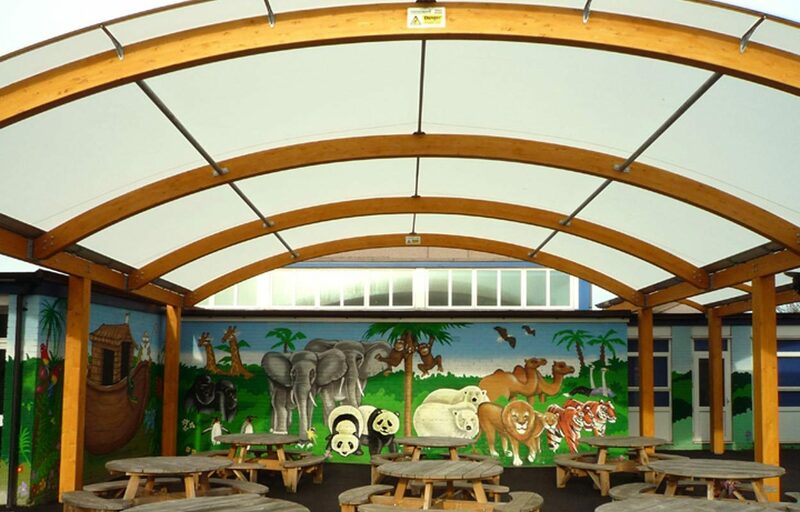 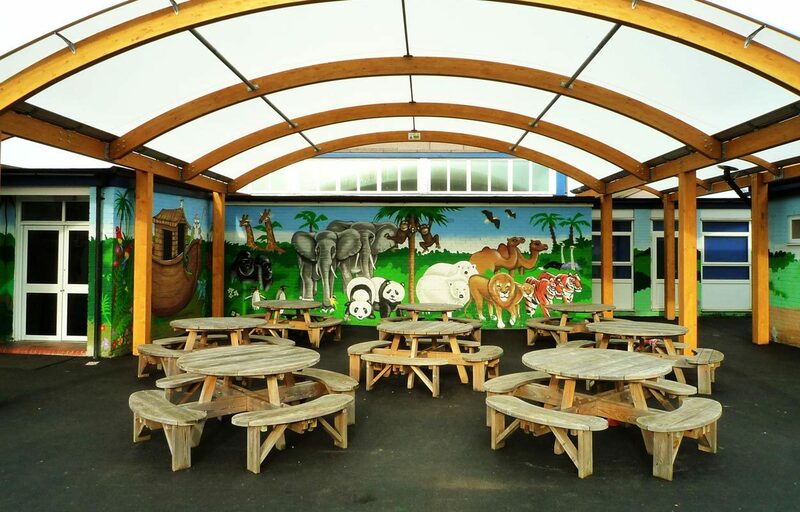 This multi span glulaminated timber canopy enhances this animated environment for St George’s Infant School, Colchester. 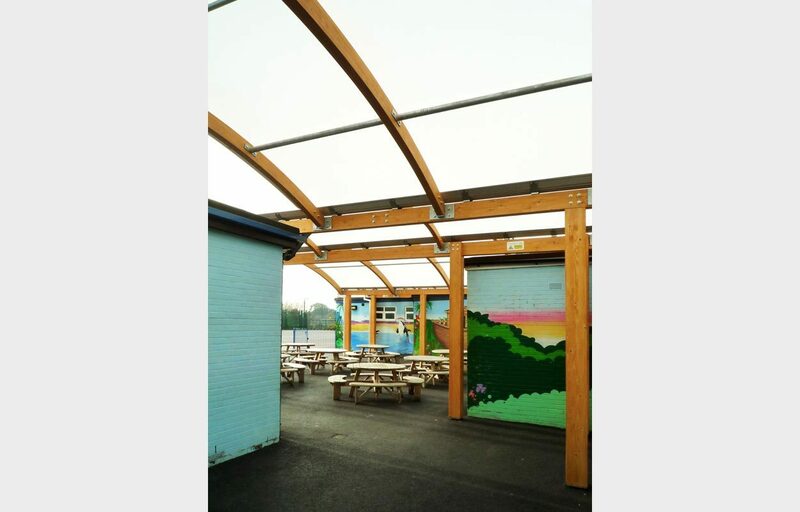 An adjoining walkway also provides students with a cover when transferring between buildings. 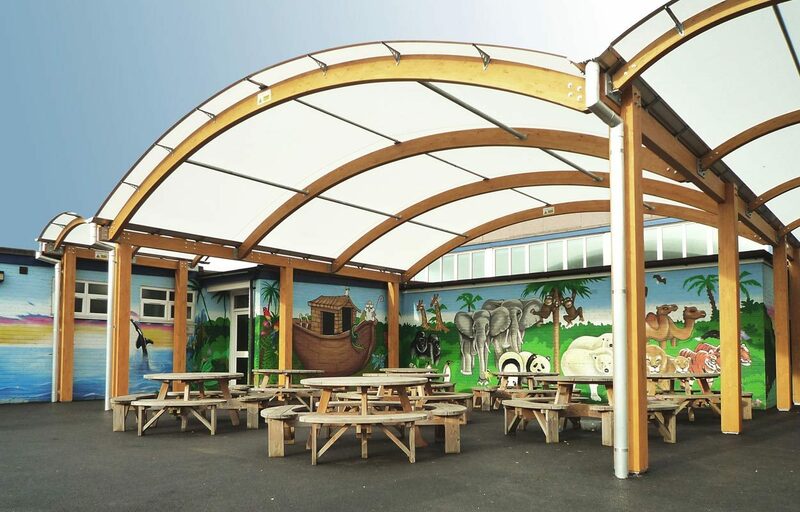 Glulaminated timber is strength graded and refined by lamination making it extremely hard wearing and safe while allowing for highly variable designs. 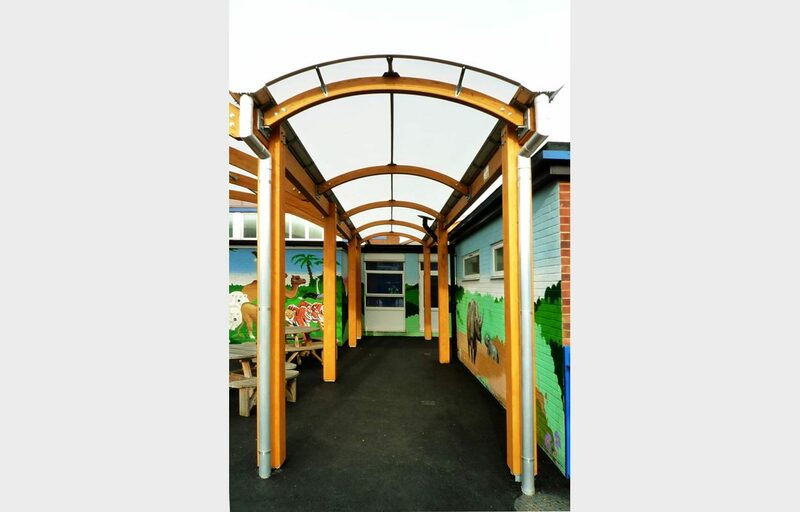 The canopy also exhibits a hardwearing polycarbonate roofing solution and all rainwater is channelled off the structure via custom made aluminium guttering and rainwater pipes.